Shoe Doctor is cooking in the house! This time I'm breaking in my Pour La Victoire Meila pumps. I got them for a great deal, ~$60 after a discount + an Amazon giftcard I received for this longitudinal study I have been a part of since freshmen year in college. I love it when I score a shoe deal! I broke in my new shoes while baking oatmeal chocolate chip cookies, made from my secret recipe. Yes, secret. Lucky you, I will share some of the secrets with you today! First, preheat the oven to 325 degrees F. Then measure out the 3 cups of oats. Secret #1: take half of the oats and grind them in a food processor. 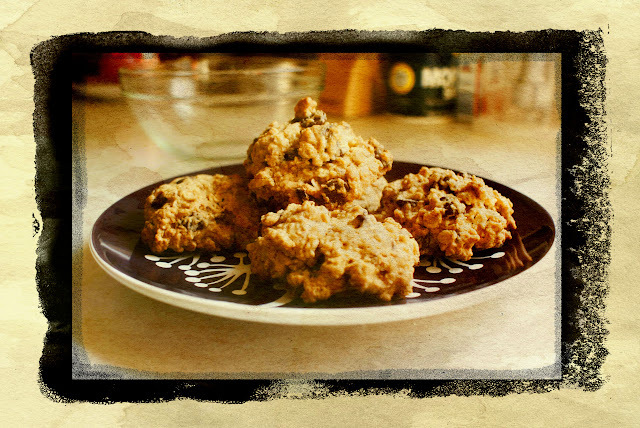 The oats act as a replacement for flour in plain chocolate chip cookie recipes. By grinding half of it, you still get the oat-y flavor but less of the oat-y texture. I think it tastes better this way. 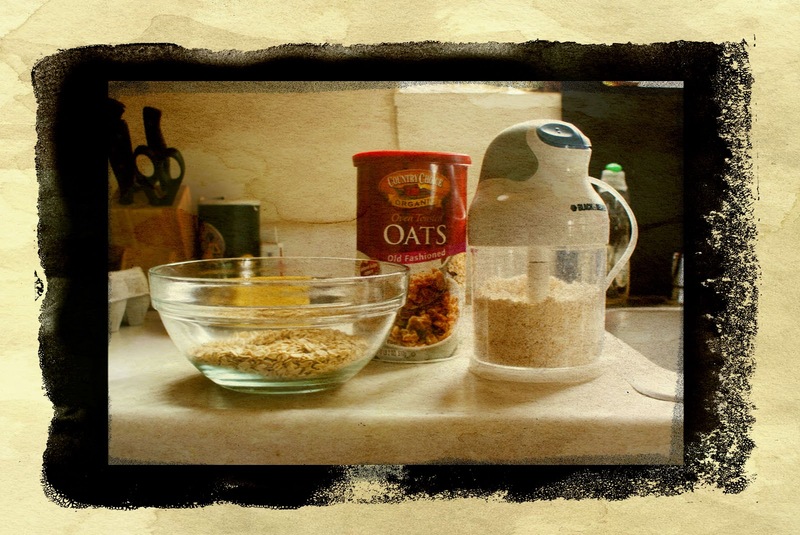 Mix the two types of oats with the flour, baking soda, and salt in your main mixing bowl. Set aside. In a separate bowl, blend together the soften butter, sugars, eggs, and vanilla extract. 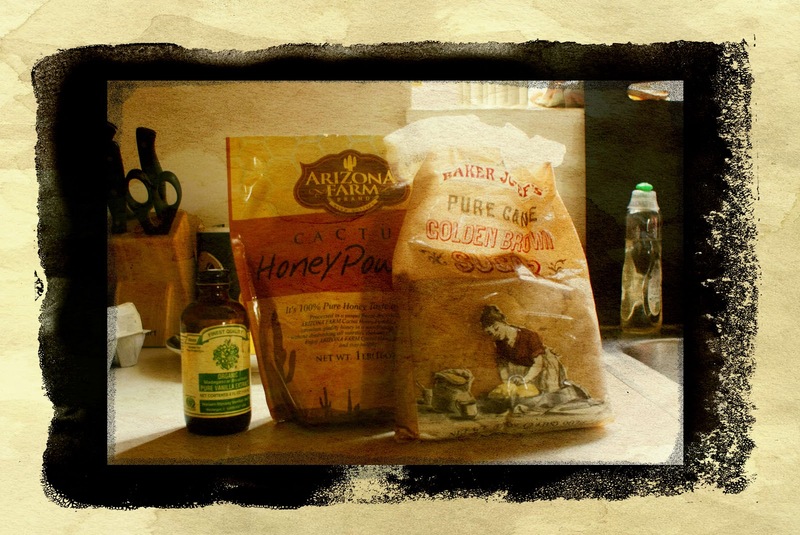 Secret #2: Instead of white sugar, I use honey powder (it's just freeze-dried honey), which is less sweet than white sugar and has a nice 'nature-y' taste to it. ...and chunk it yourself! This ensures that when the cookies are cooked, the chunks will be extra melty and will stay semi-melty even when the cookies have cooled. Pre-chunked chunks are often stored on the shelf for many months, so they tend to be drier and more crumbly. Chunked the chocolate bar by using a knife, one with a serrated edge works well for chunking. 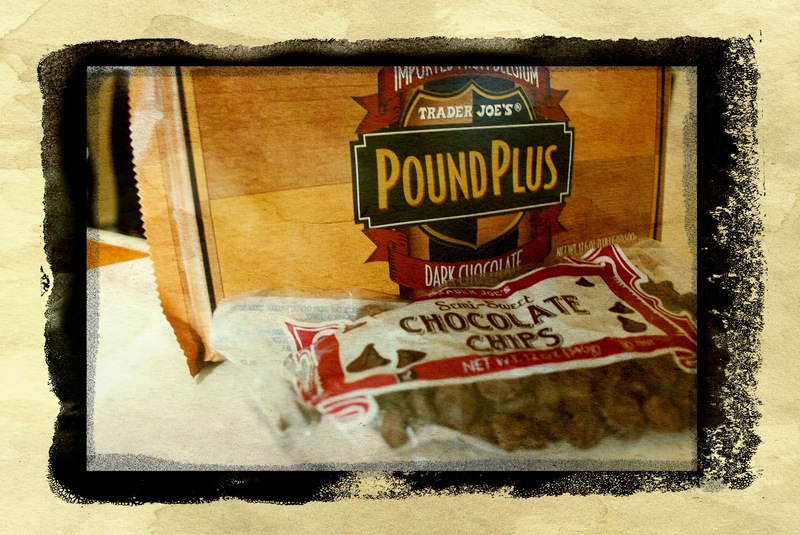 Secret #4: You may have also noticed that my recipe calls for 1.5 cups of chocolate altogether. 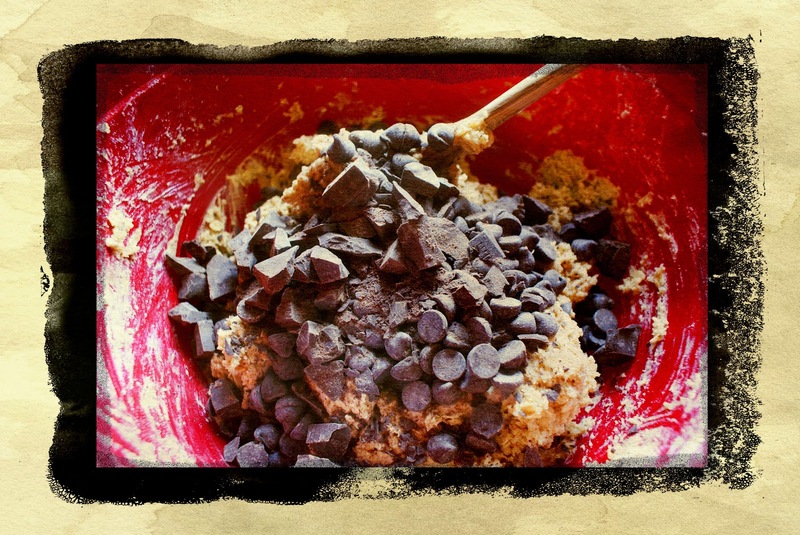 This is 50% more chocolate than the normal chocolate chip recipe. I love chocolate! 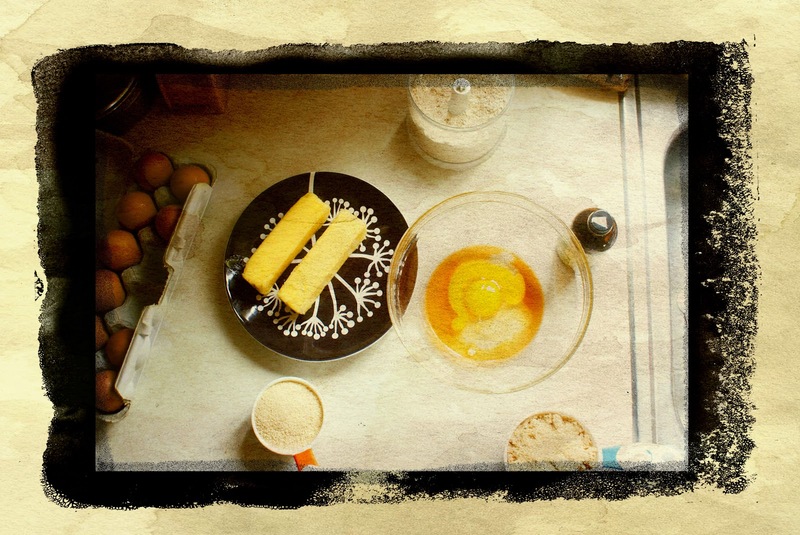 Once the chocolate has been stirred into the dough, you are ready to bake! If your cookie dough seems runny, either add 1/4 cup more flour to it (don't overdue the additional flour) or stick it in the fridge for 30 minutes to harden. I would be surprise if the dough was runny, the oatmeal acts as an excellent moisture absorber. Spoon dough onto cookie sheet 1-1.5 inches apart. These cookies don't tend to run into one another, so you don't have to worry about Siamese twin cookie syndrome. I lined my cookie sheets with aluminum foil because I am lazy and do not like extraneous cleaning. I like as little lag time as possible between popping fresh cookies out of the oven and popping them in my mouth! Recipe will yield about 2 dozen cookies. 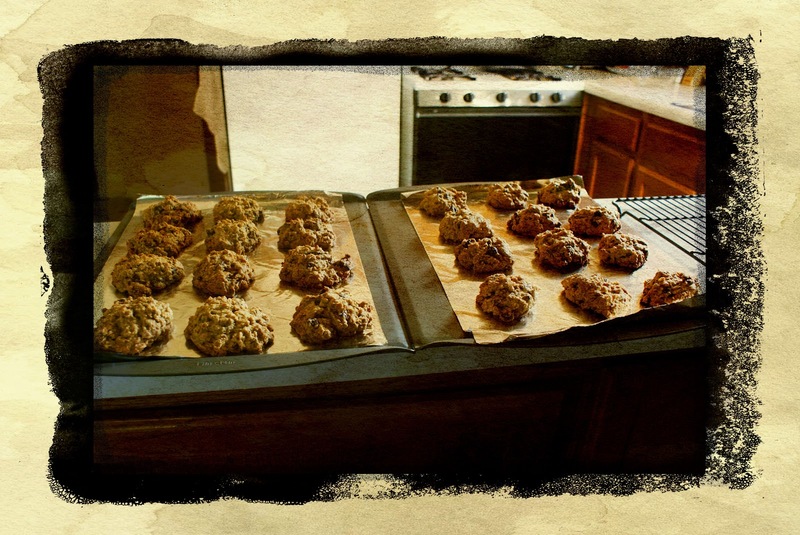 Bake for 12 mins, or until golden brown, at 325 degrees F. Once removed from the oven, let the cookies finish cooking on the cookie sheets for 10 mins and then either transfer them to a rack to finish cooling or just eat them while they're fresh! 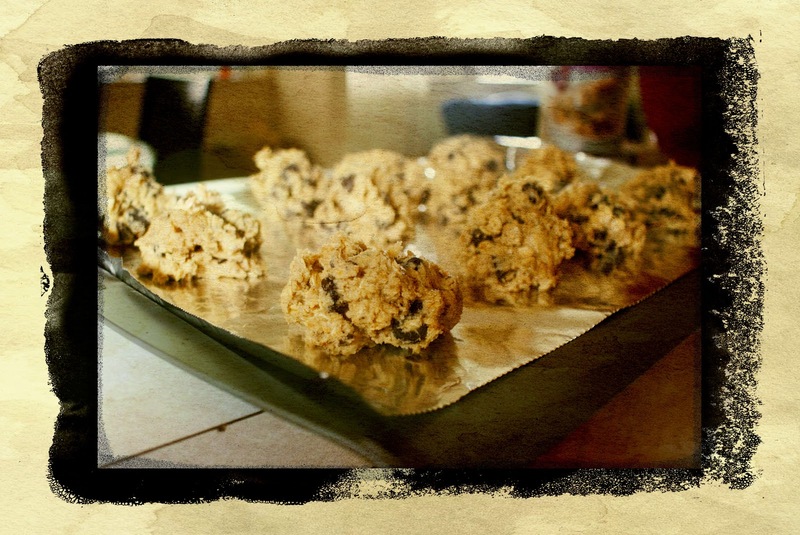 baked cookies! See! Exactly 2 dozen cookies! They are so delicious! But don't eat too many at once! Share with your family and friends! 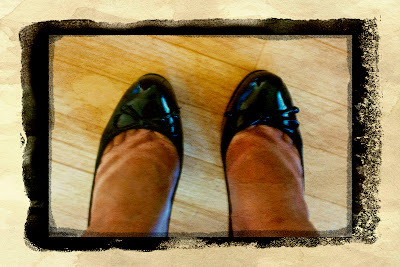 Baking cookies was a great way to break in my new shoes!